Investors and developers who contribute to the ethereum-based programmatic lending protocol MakerDAO are debating a fourth increase to the amount charged to users of its U.S. dollar-pegged stablecoin DAI. As a result of persistent imbalances in the token’s supply and demand since February, DAI has been trading below $1 on exchanges – hitting lows of $0.96 on major cryptocurrency exchange platforms such as Coinbase. Issued via an open-source software, DAI uses what is known as a“Stability Fee” that charges an outstanding fee proportional to the amount of DAI being returned by the user. The fee can be paid in either MKR tokens or DAI. Holders of MKR, however, also participate in decision-making on how the protocol that produces DAI should function and “stake” their tokens in votes. MKR holders have ratified three different proposals to raise this fee incrementally in the past few weeks. 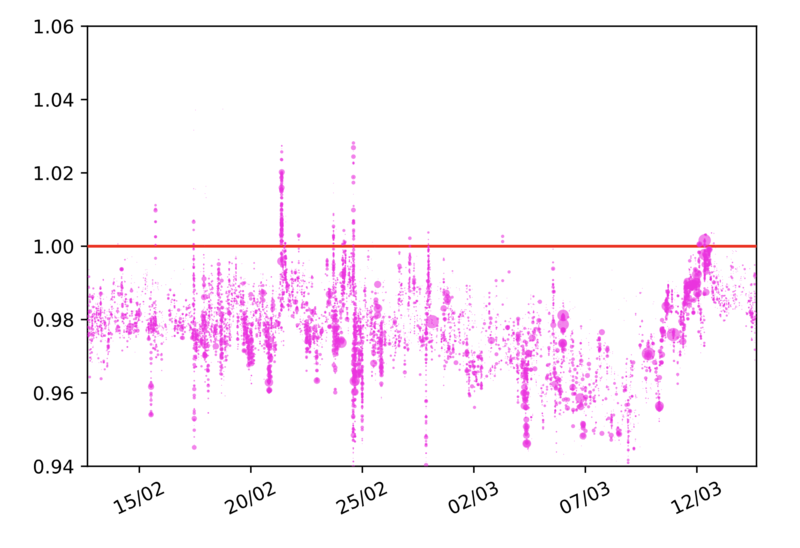 The last increase, executed on Friday, was by far the largest in the history of the project, raising the Stability Fee to 3.5 percent and prompting some concerns about whether the MakerDAO protocol can support a stable cryptocurrency. As such, founder of the MakerDAO Foundation Rune Christensen was of the mindset that stronger, more pointed action was warranted by MakerDAO token holders. Wanting to move ahead with some sort of actionable vote “as soon as possible,” Christensen suggested a vote for a more measured increase of 2 percent from the current 3.5 percent. The suggestion, however, was regarded as too hasty by some community members. Pushing back on setting “arbitrary” numerical values to the next potential fee hike without proper data analysis, Richard Brown – head of core community at the MakerDAO Foundation – directed the discussion to be further debated on the community Reddit channel. “Let’s make sure this debate doesn’t peeter out and that it continues on our Reddit channel … [Our decision] needs to be scientifically-based,” emphasized Brown.